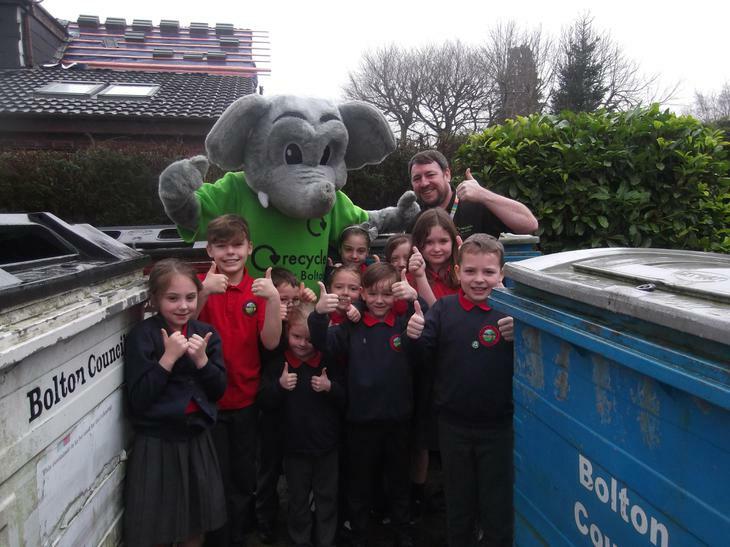 Assembly - Ottley the Recycling Elephant! 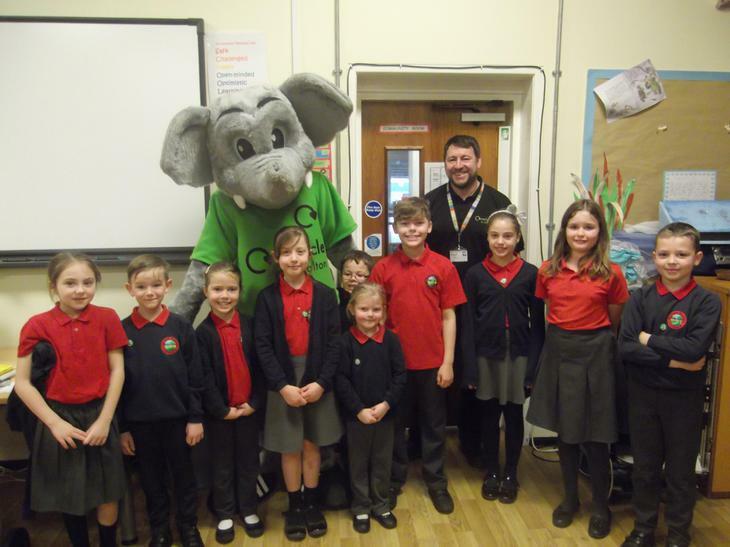 Ottley the Recycling Elephant came to our assembly this morning! 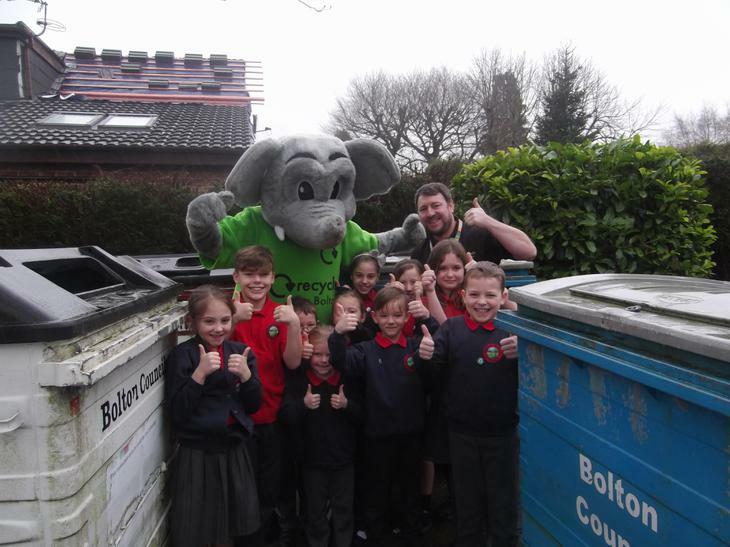 Bolton Council and their mascot Ottley came to talk to the children about recycling. They discussed which bin should be used for certain types of rubbish and the children got to ask questions. 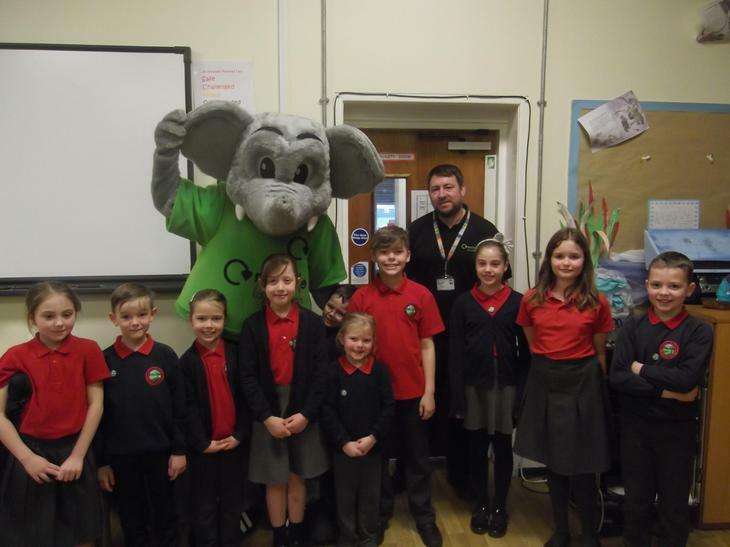 The Eco Team enjoyed having their picture taken with Ottley after the assembly.